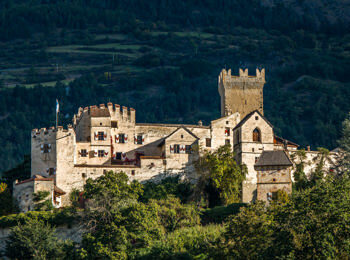 Not only the unique nature of South Tyrol has great photo spots: In fact, the province offers romantic castles in an impressive position above medieval city centres or cool museums at 2,000 m of altitude, showing the cultural wealth of South Tyrol. 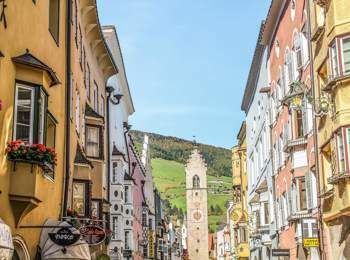 From Überetsch to Eisacktal, from Meran to Tauferer Ahrntal, we have searched photogenic highlights for culture lovers and found a wide range of attractive spots. These are our favourites. Churburg Castle is located above Schluderns at the entrance of Matsch Valley. In spring, when it is the time of apple blossom your picturesque will be particularly beautiful. 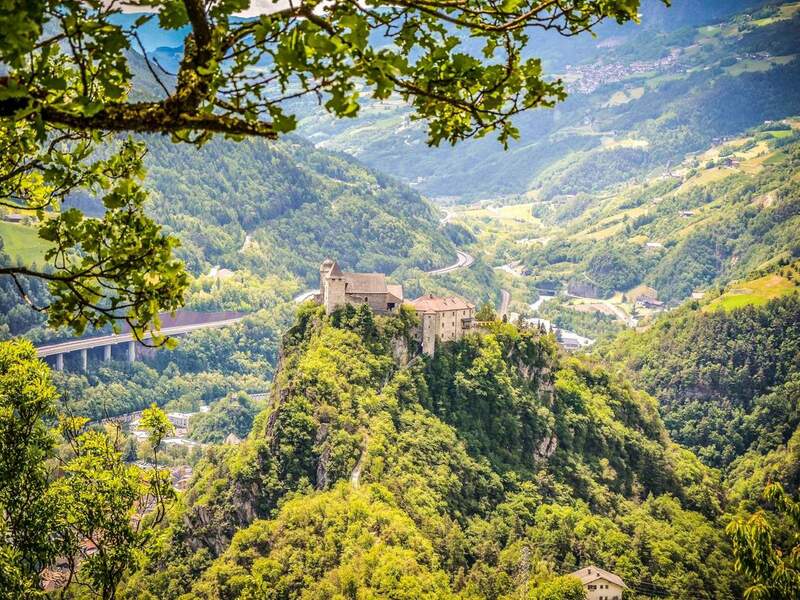 If you take a picture of Hocheppan Castle above Eppan from Kreideturm a little bit below, you can photograph the pentagonal tower the best way possible. 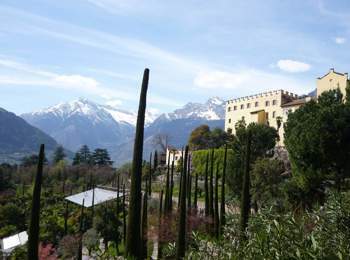 In order to shoot not only Taufers Castle, but also the Zillertal Alps with Mt. Schwarzenstein, you will need a camera with a big zoom, standing in the meadows in the south of Sand in Taufers. Above Klausen, there is Säben Monastery on a steep rock. In autumn, when the leaves turn colourful, the view from Ketschtnweg path near Pardell to the monastery is highly recommended. From the Italian garden that is located in the terrace and water garden area, you can have wonderful perspectives of Trauttmansdorff Castle near Meran – with the mountains in the background. 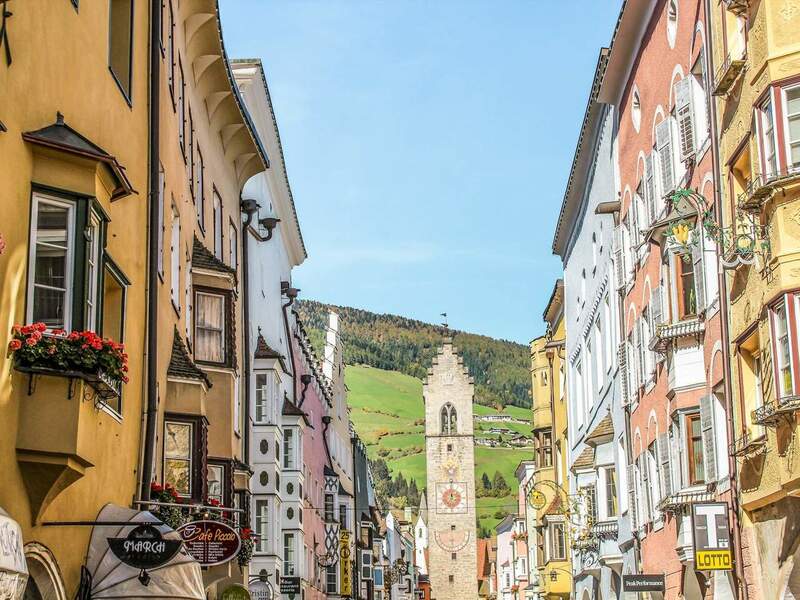 The arcades in Bozen with elegant boutiques and historical inns perfectly symbolise the charming South Tyrolean mix of Alpine tradition and Mediterranean lightness. From the fruit market, you can have a beautiful perspective of the arcades. Zwölferturm tower, the landmark of Sterzing, can be shot best from Neustadt. The Neustadt (“new city”) is the southern part of the historical city centre that dates back to the 15th century. The arcades of Glurns is frequently used for film productions thanks to their medieval charm. Also, they are an excellent photo spot. 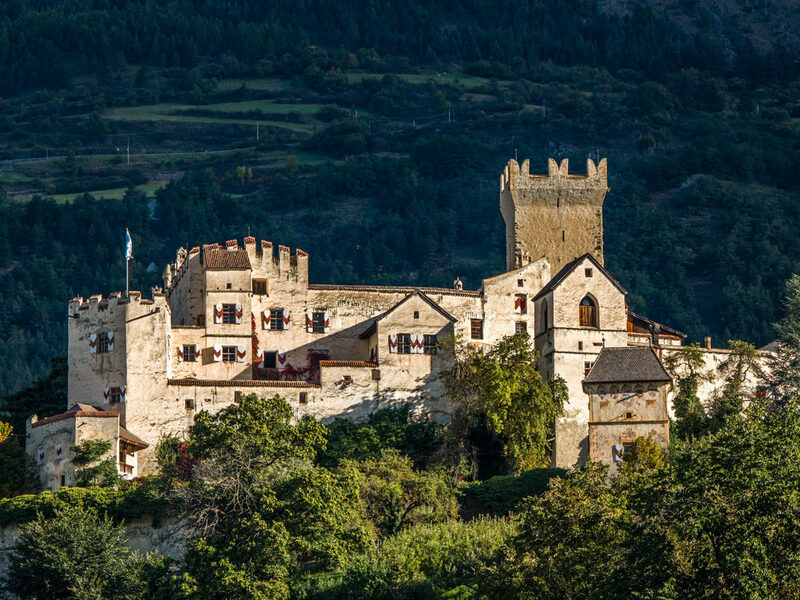 The solid city walls of the smallest city in South Tyrol are completely preserved. Mt. Kronplatz is first and foremost an excellent skiing area in winter. However, the Messner Mountain Museum Corones is even more beautiful without snow on the summit plateau. 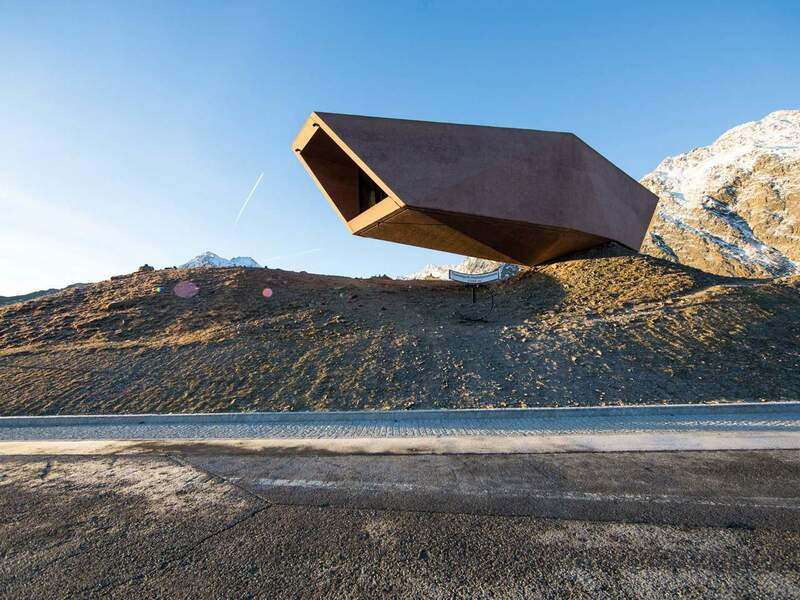 In contrast, we think about the Pass Museum on Timmelsjoch pass, when there is some snow on the pass between the valleys of Ötztal and Passeiertal. The museum building is one of five elements of Timmelsjoch Experience.